For fans of fishing, here is one of the greatest games ever created in a package of 7mb. 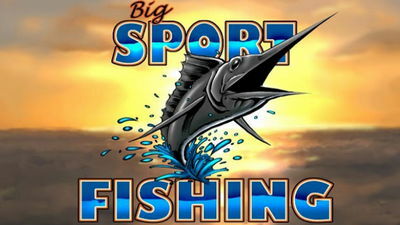 Big Sport Fishing (full version) features beautiful 3D graphics, fun gameplay and physics, panoramic views as you move your phone, and much more. The fish is made in stunning 3D which gives it a high level of realism. You can see it swimming if close, and will jump out of the water when far. When you see a big one just flick your wrist to cast. Pull back on your phone to hook a fish and fight it as you reel in your catch. 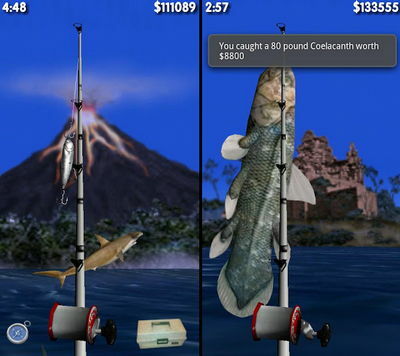 This full version of Big Sport Fishing 3D has 10 fishing locations. Cast your reed, catch some fish, take some pictures and share them with friends. Players can also earn virtual credits to acquire special bonus items. have fun!